Who were the Freedom Riders and what did they want to accomplish? "FREEDOM RIDERS is the powerful harrowing and ultimately inspirational story of six months in 1961 that changed America forever. From May until November 1961, more than 400 black and white Americans risked their lives—and many endured savage beatings and imprisonment—for simply traveling together on buses and trains as they journeyed through the Deep South. Deliberately violating Jim Crow laws, the Freedom Riders met with bitter racism and mob violence along the way, sorely testing their belief in nonviolent activism". 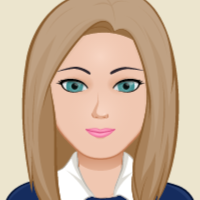 Download Teacher's Guide to the movie. Short Segments of the movie. Freedom Riders is a traveling exhibition developed by the Gilder Lehrman Institute of American History in partnership with AMERICAN EXPERIENCE. Major funding for the traveling exhibition provided by the National Endowment for the Humanities. Exclusive corporate funding for AMERICAN EXPERIENCE is provided by Liberty Mutual. Major funding provided by the Alfred P. Sloan Foundation. Additional funding provided by Lynn Bay Dayton, Rodger & Dawn Nordblom, the Corporation for Public Broadcasting and public television viewers. Click Here to go to the online companion exhibit to the Freedom Riders Exhibit created by the Gilder Lehrman Institute of American History. 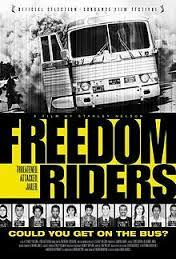 Hear original Freedom Riders tell their personal stories. Front, left to right: Joe Perkins, Charles Person, Frances Bergman, Genevieve Hughes, and Jimmy MacDonald; Back, left to right: John Lewis, Jim Peck, Ed Blankenheim, Hank Thomas, Walter Bergman, James Farmer. Not pictured: Rev. Benjamin Elton Cox, and Albert Bigelow.